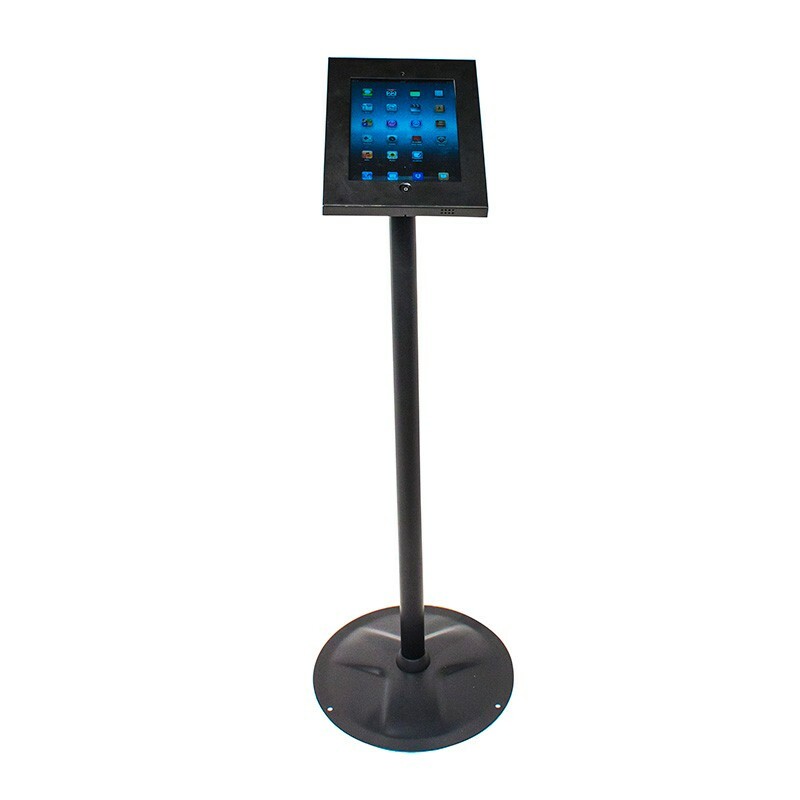 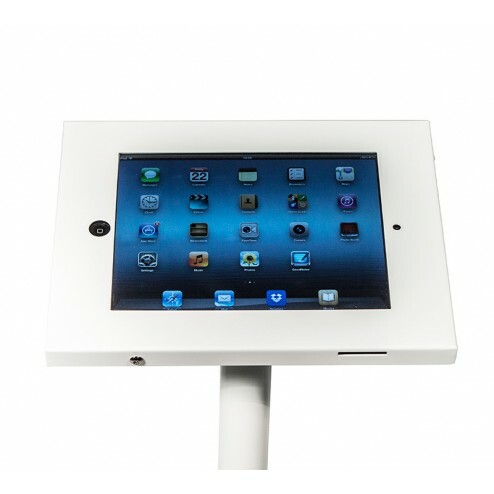 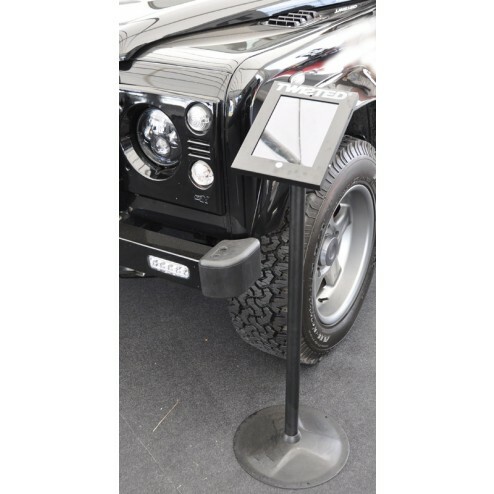 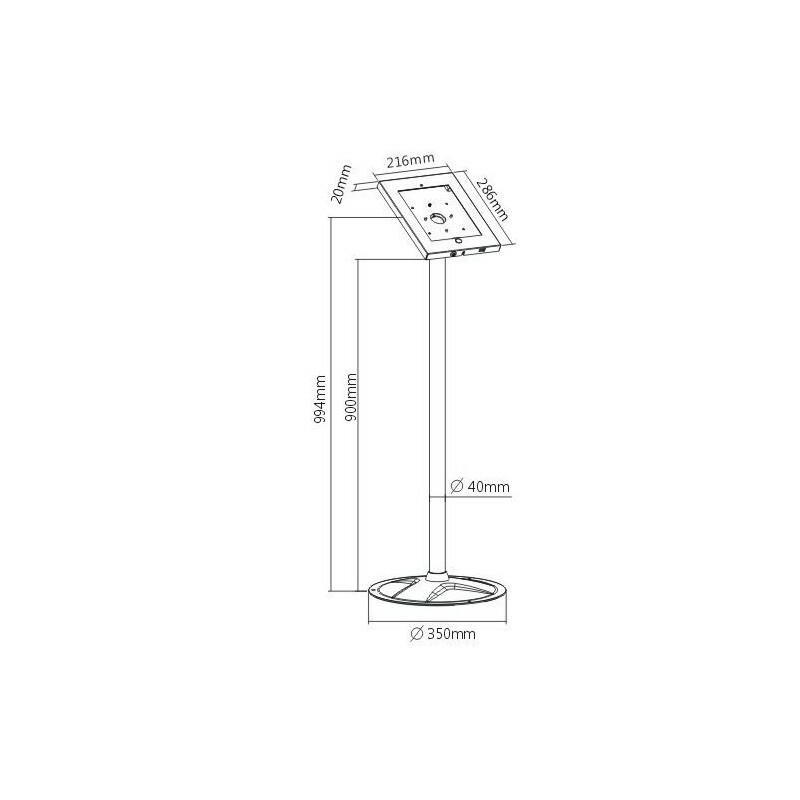 Create an engaging point of focus for customers with our free standing iPad stand. 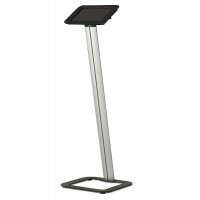 The steel constructed floor standing tablet holder is ideal for exhibitions, receptions, museums, retail and many more applications. A secure housing and fascia holds an iPad 2 , 3, 4, Air and Air 2 in portrait or landscape orientation, allowing customers to interact and view information. 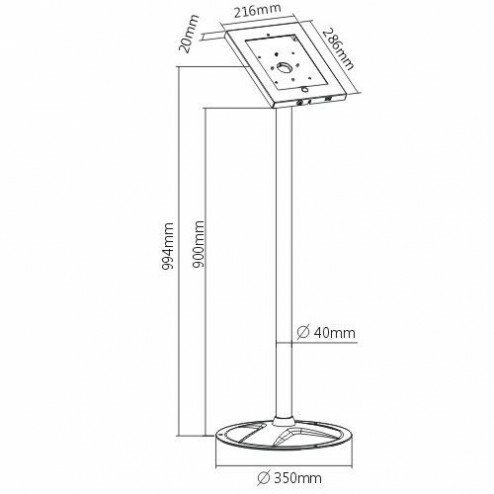 The weighted base makes the stand very stable, but for added security the base can be secured to the floor using security screws. The black version has a case which locks with a keylock and key. 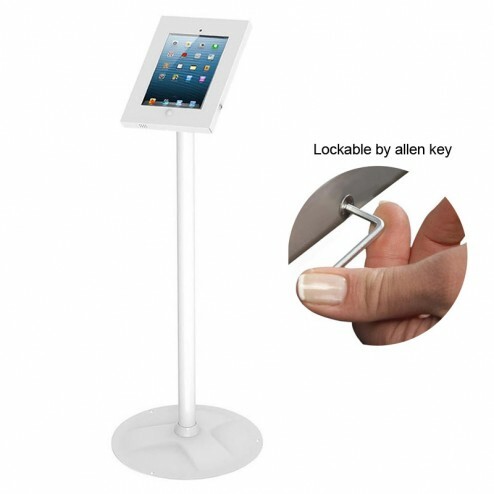 The silver and white versions are locked using a simple Allen key, which is provided. 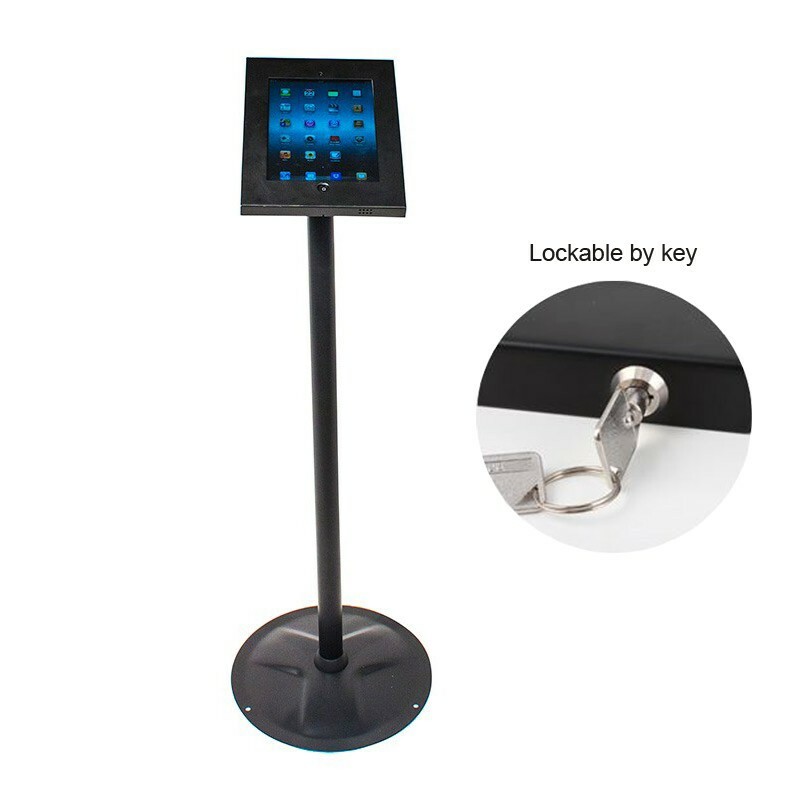 You can leave your tablet charging all the time it is connected to the stand so it never runs out of battery. 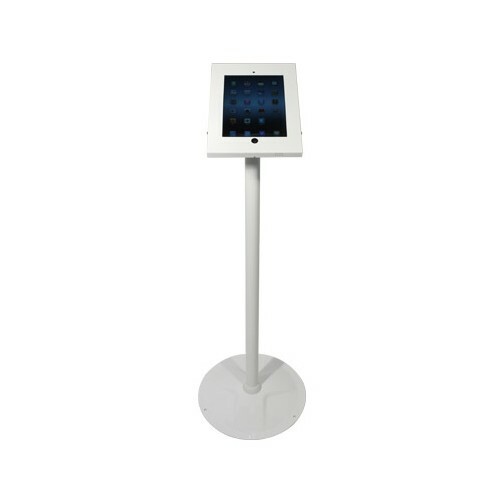 The tablet end of the cable is hidden in the enclosure and the cable is neatly hidden in the middle of the column. 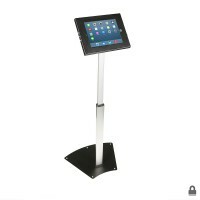 Does the stand come with a power cable? Do I need to bolt it down? 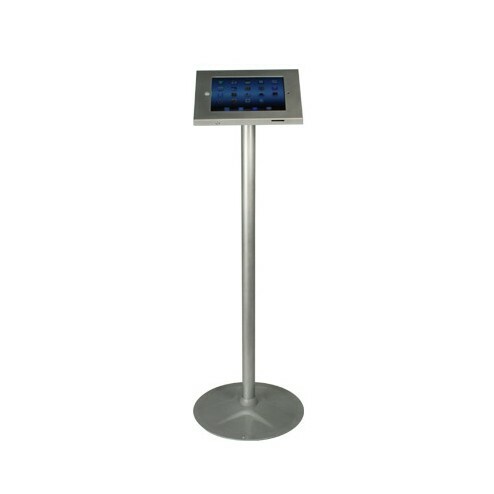 No, this product has a weighted metal base making it stable on even floors, hard or carpeted. The base does, however, have holes so that it can be secured to the floor for security. 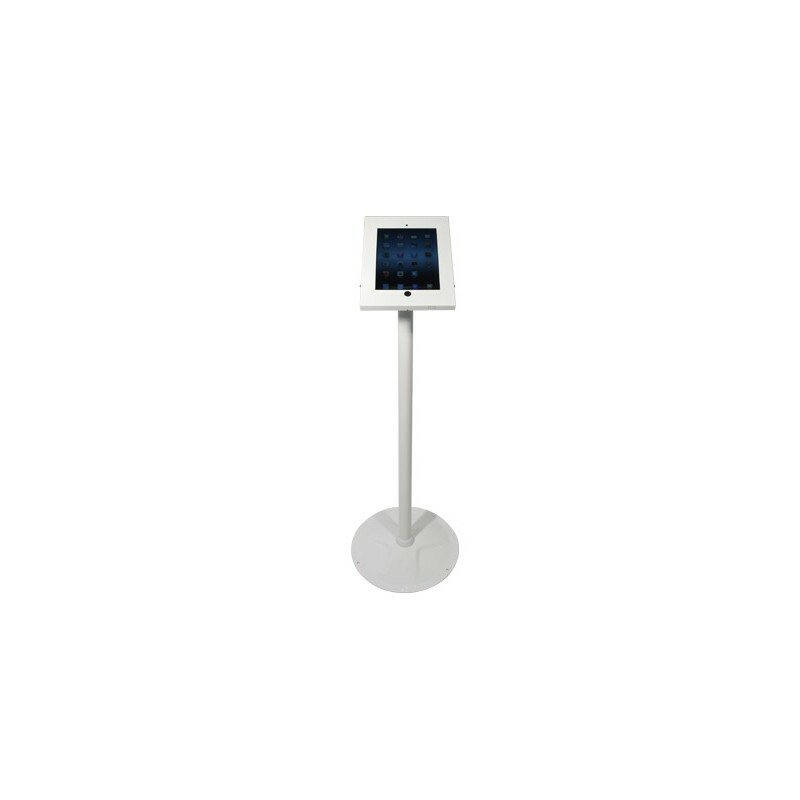 Can I use the camera? 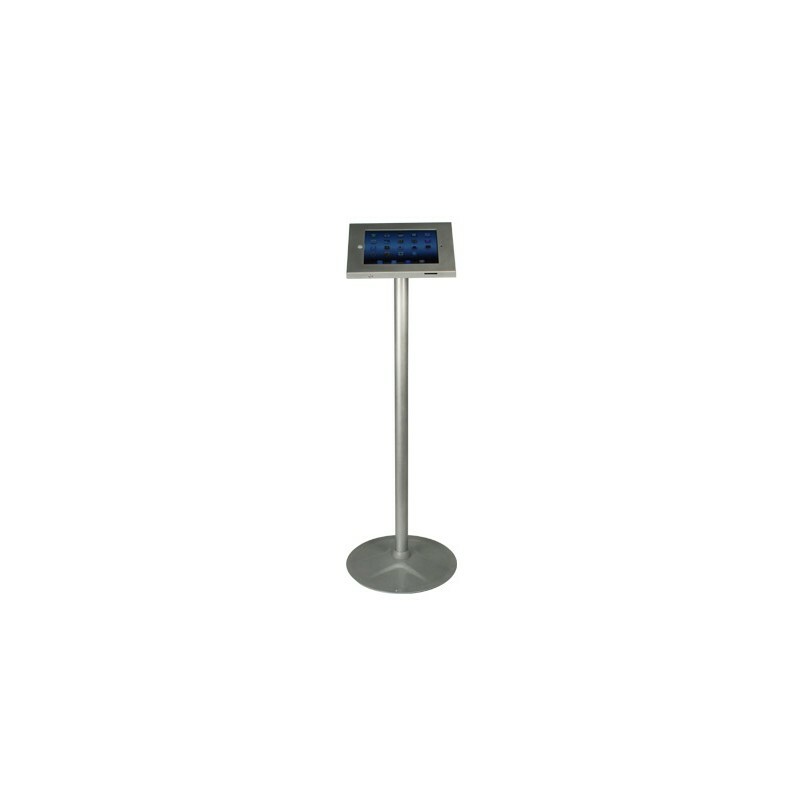 It is simple to use and is great value for money!